Our catalog, databases, and digital collections can be searched from the Libraries' homepage. We have some changes to our regular hours coming up soon. Please note the special hours below. The Group Study Room is perfect for group study, and contains a flat-screen monitor hooked up to a computer and sound system, a Yamaha electric piano, and a white board. Reserve the room for your group. 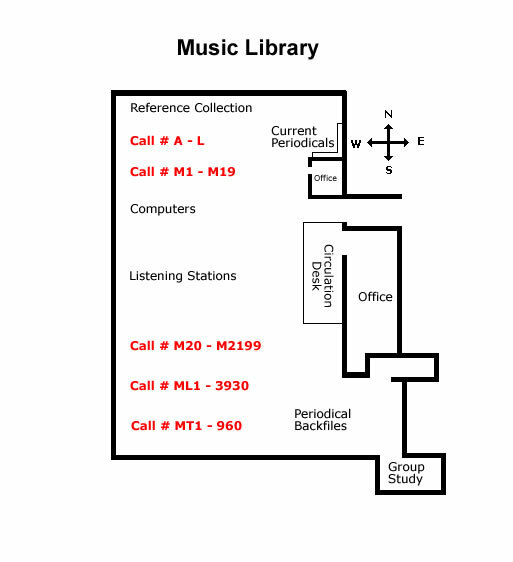 The Music Library is located on the main floor of the Christiansen Hall of Music. 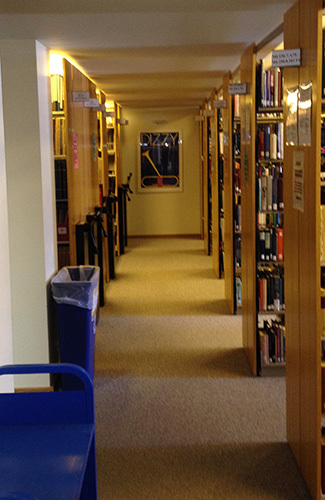 The Music Library's periodicals are shelved alphabetically by title. Other materials are shelved according to the Library of Congress classification system. Music videos and all sound recordings are available at the circulation desk. Halvorson Music Library contains approximately 15,000 books, 20,000 scores, 17,000 sound recordings, and 800 video recordings. We also have facilities for individual and group viewing and listening, an electronic piano equipped with headphones, and access to many online resources. The librarian and staff are here to assist you in every way we possibly can. The Halvorson Music Library is named for Mr. and Mrs. Henry M. Halvorson. Henry Halvorson (Class of 1925) taught music, history, and literature in Minnesota schools before joining the publishing firm of Ginn and Company in Boston. He directed the music department there and edited a complete set of elementary music textbooks. Mr. Halvorson became Vice President of Ginn and Company, and later served as Chairman of the Board of Directors. He was a member of the Board of Regents of St. Olaf College from 1964-1980. The generosity of Mr. and Mrs. Halvorson, along with their keen interest in music and in St. Olaf College, made possible this music library building, to the great and lasting benefit of the St. Olaf community. The items in this collection are not part of the St. Olaf Libraries' collection and are not included in Catalyst. If you manage a music ensemble and would like to access the collection, please contact the Associate Librarian for Ensembles and Performing Rights, Courtney Kleftis (kleftis@stolaf.edu).